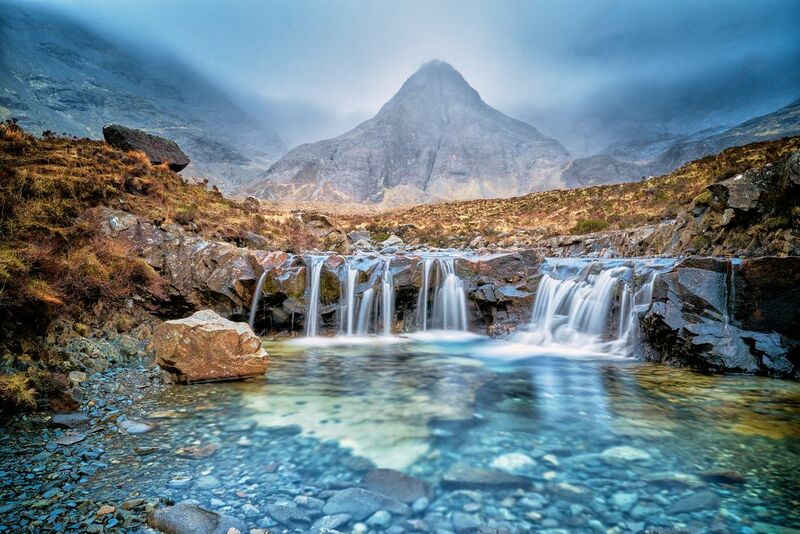 Mist from the Cullin Mountains hangs over the Fairy Pools in the Isle of Skye. The colours in the water are caused by minerals dissolved in the water. Date Uploaded: Oct. 11, 2017, 6:15 a.m.